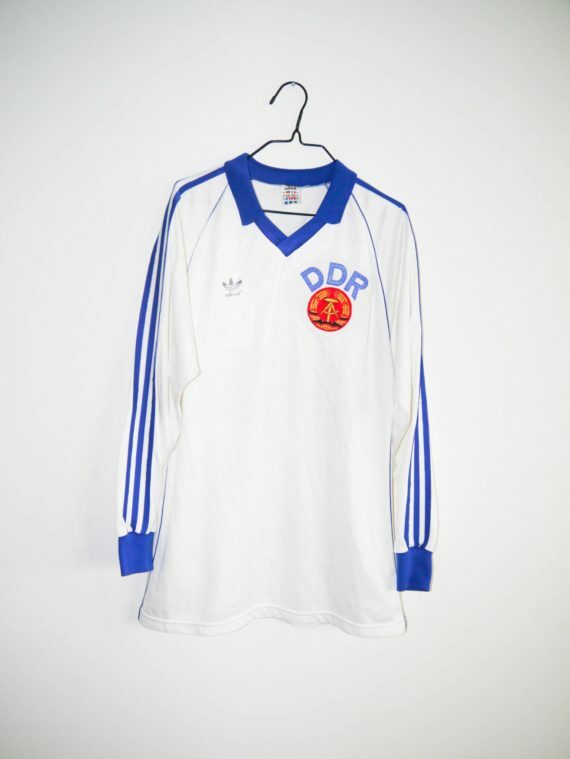 Super rare and ORIGINAL DDR Match Worn shirt, worn between 1984 and 1986 for the 1986 World Cup Qualifiers. 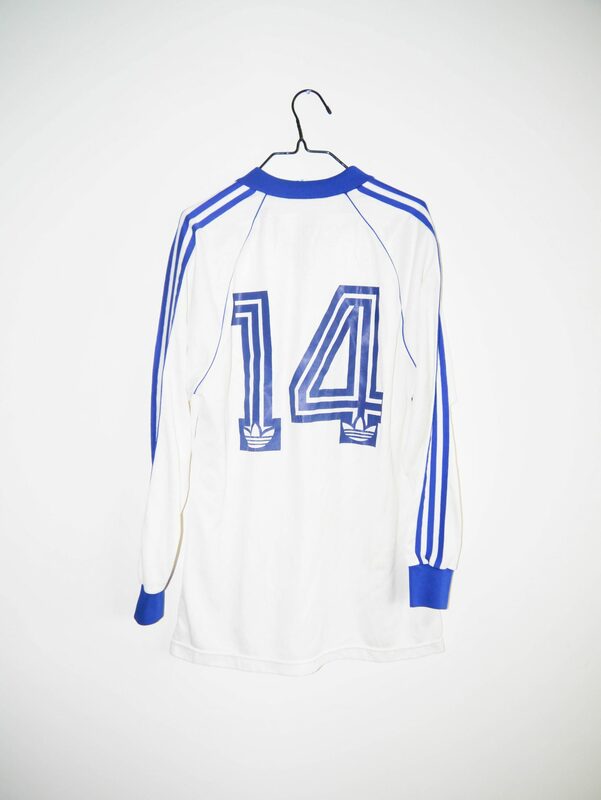 Hard to say which player wore the shirt, as this font style was only used for very few games. 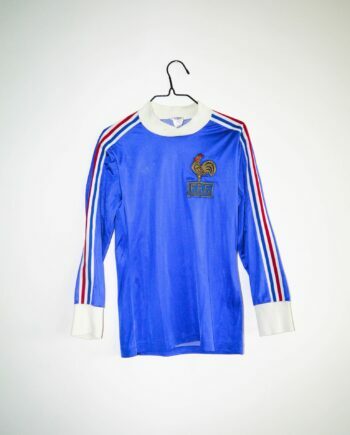 Shirt style and fonts varied a lot during those years, but the shirt is 100% match worn. 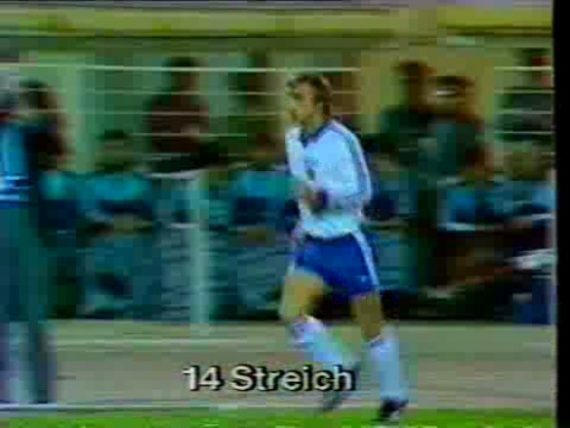 Comes from family of ex-player.